On the back of Intel's announcement today for the next stage of its 8th Generation Core processor roll-out, covering both desktop and notebook processors, all of its major OEM partners are refreshing their product lineups to include the new parts. Dell is one of those; and given the sheer size of the company's product lineup, it adds up to quite a few updates. 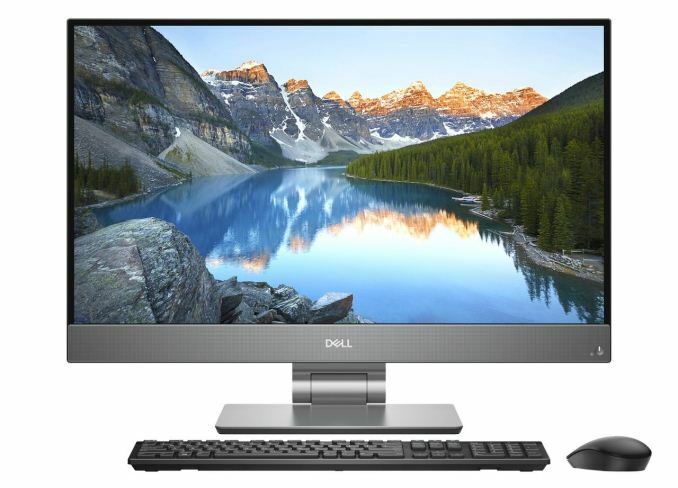 Today Dell is announcing a wide range of products from its various business units, such as new Alienware desktops and devices, new Inspiron laptops, new All-in-One units, and just for good measure, a few new monitors as well. 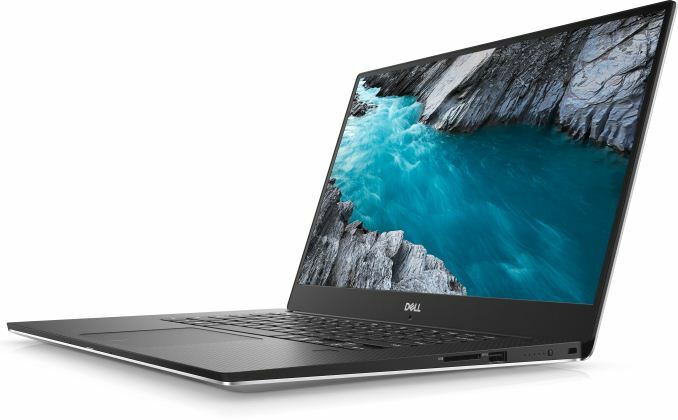 Dell is a one of a number of device manufacturers that are announcing new products today based on the latest Intel 8th Gen Core processors announced a few hours before. The main headline for the new processors is that for this generation there are more cores across the board, all rated at the same thermal power as before, allowing users to have the potential for more performance, assuming the OEM can keep the power window in check. Among all the announcements today (and there are a few), Dell has the following on offer. Links will go through to their respective pages. Underpinning most of these is the latest range of Intel’s 8th Gen Core processors. The partnership between Intel and Dell means that Dell is more prepared than some others to introduce a monumental amount of hardware on day one. Our earlier article explores the finer detail, however here is a small recap. Intel’s biggest announcement today was the Core i9-8950HK: an overclockable six core mobile processor with a 4.6-4.8 GHz single core turbo frequency. The processor takes advantage of Intel’s new Thermal Velocity Boost algorithms, which provide 100-200 MHz extra to the processor over the stated frequencies if the CPU is under 50-53ºC. This means that OEMs will have to be efficient in their device design to meet this goal, although Intel expects this feature to kick in with more burst-y workloads, like web browsing, where responsiveness is a key part of the user experience. Out of the models from Dell today, both of the new Alienware gaming laptops offer the i9-8950HK as an optional upgrade. There are six other processors in Intel’s 45W mobile line; varying in processor count and frequency, which fill the rest of the stack. Sitting in-between the base graphics experience of the 15W/45W mobile processors and the heights of the new Kaby Lake-G processor line, Intel still has products using its Iris branding, which implements extra on-chip DRAM to help accelerate memory limited tasks. These chips also get a doubling of the Core graphics capability, and given graphics is often memory bandwidth limited, the result is sometimes more than a doubling in performance. The new 28W Iris Plus processors from Intel use the latest Coffee Lake design and GT3e graphics, allowing for 48 execution units and 128 MB of embedded DRAM. These chips often go into small devices that need a bit of grunt but do not want a full discrete GPU and want to remain with a reasonable battery life. 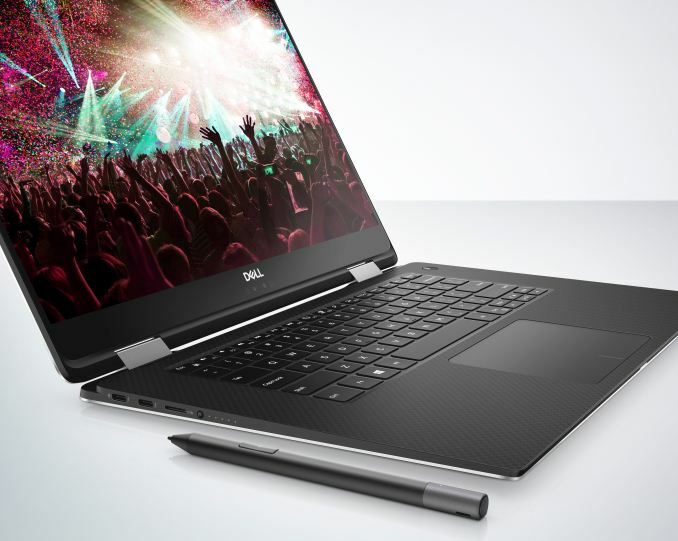 Dell isn’t announcing any new products with the Iris Plus graphics today, however it is making noise about its higher-end graphics workstation, the XPS 15 with Kaby Lake-G, which implements additional on-package Radeon RX Vega graphics alongside a 45W-class processor. 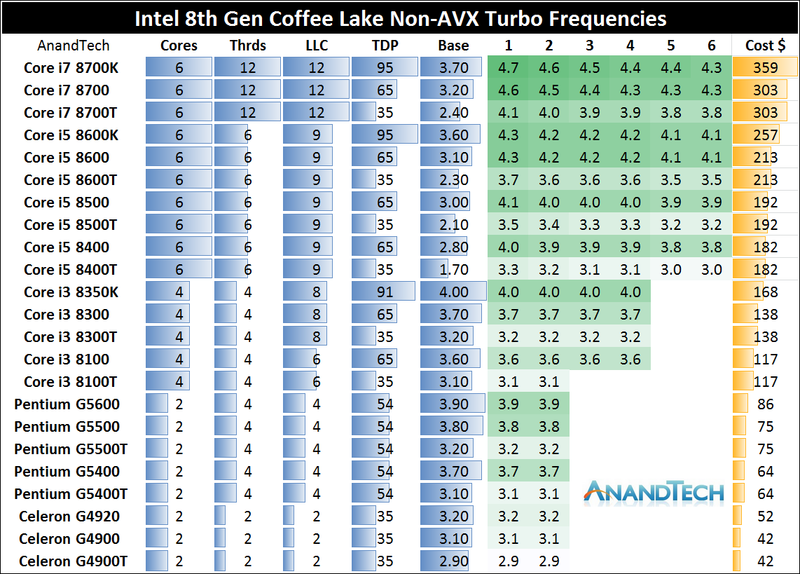 Having launched only six 8th Gen processors back in October, today Intel filled out the rest of the offering with more Core i7, more Core i5, more Core i3, and a handful of Pentium Gold and Celeron processors. These parts all range in TDP from 35W to 95W, and prices start at $42, going up to $359. These new processors are for any 300-series chipset based motherboard, and Intel also lifted the lid on its lower cost and vPro focused chipset designs. The key features of the new chipsets include integrated 802.11ac Wave 2 wireless capabilities (which the manufacturer needs to enable, at a cost of ~$15), and native USB 3.1 (10 Gbps) support. For Dell’s launch today, the more desktop oriented products will be using these new processors. The new 24-inch and 27-inch Inspiron All-in-One devices have the low-power T-class processors as options, offering up to six cores and twelve threads paired with a GTX 1050 and up to a 4K Infinity Edge display. On a more personal level, it is clear that Dell’s Infinity Edge display technology is permeating through most of its product lines. Pairing a quality panel and chassis with the latest processors is always a good thing. So the new XPS 15, and even the AIOs, look really nice. 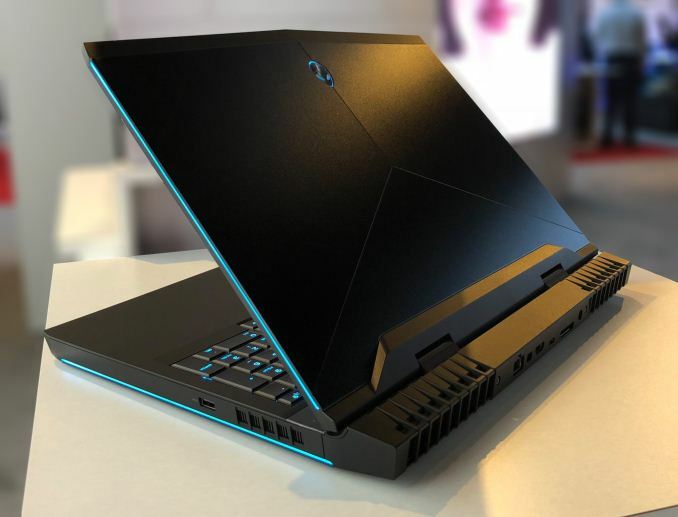 For maximum beef, I’d love to get some hands on with the Alienware gaming laptops – it would be interesting to see how Dell has implemented the Core i9-8950HK and how the system responds to overclocking six cores in a small chassis. Wouldn't Dell's first InifintyEdge monitors for office use be the Ultrasharp series from last year? Ultrasharp is a semi-premium brand. S is intended for more cost conscious business customers. OTOH last years S2318 looks like it's infinity edge in all but branding (and maybe 1mm in bezel size); and is in the same product family as these. I assume the same is true for other 2018 S series displays but didn't look any of them up. So I'm assuming the onlything new is that they're using the infinity edge branding more widely. The U2415 that I'm reading this on (yes, I'm at the office, but at least it's my lunch break :p ) sure looks InfinityEdgy enough for me. Pretty sweet monitor, truth be told, significantly better looking than my old beater U2711 at home. Still kind of miss the extra 240 vertical pixels, but the lack of bezels somehow makes the smaller panel size more palatable. Doesn't really make sense to me, but that's my experience anyhow. What active pen technology is it on the XPS 15 2-in-1? Wacom AES? Microsoft's (N-trig)? Amtel? Synaptics? Come on Anandtech!